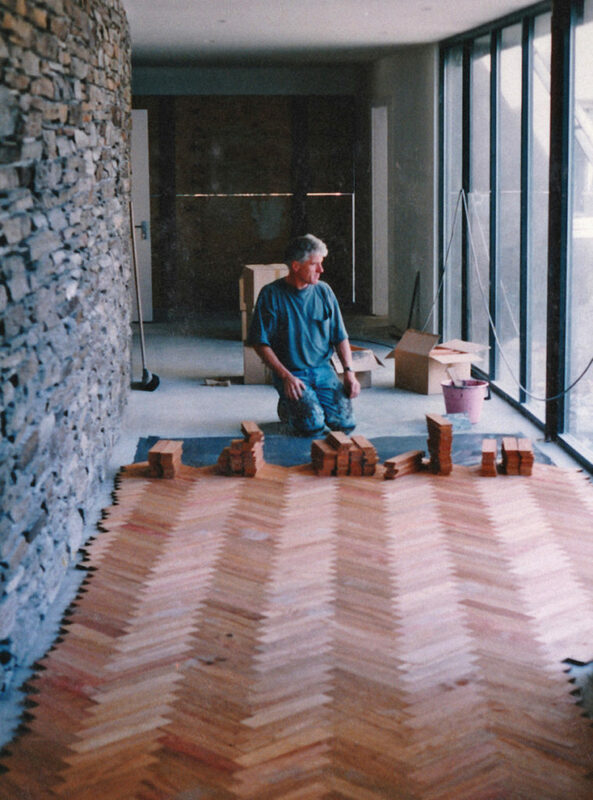 In 1988 Geoff Swinard’s love of working with wood led him to extend his carpentry business to include wooden flooring, with the ultimate establishment of Swinard Wooden Floors. A skilled craftsman, he employed like-minded woodworkers and ran his company from his home in Governors Bay. While the workshop and showroom is now based in Christchurch, the main office remains where it all began. Sadly Geoff died in 2000 but the company continued, run by his wife Jane Swinard and his foreman Chris Lee (now General Manager). The company retains Geoff’s principles of commitment to excellence with a personal approach. Our small team of staff are trained artisans who have worked for us for many years. We can create a new floor, overlay an old floor, repair, recoat and/or extend an existing floor. We work with architects, designers, builders and homeowners; installing floors in small apartments, large residential homes, commercial offices and shops through to large sprung floors in gymnasiums. We supply a wide range of solid wooden flooring; both tongue and groove and parquet, along with polyurethane and oil coatings and colour stains to add an element of difference. We also supply an extensive range of high quality engineered wooden flooring in a wide selection of colours and finishes. After discussing flooring options and requirements with you, our comprehensive quote will leave nothing to surprise as we aim to work within your building budget. Each floor comes with our guarantee and after sales service. Please contact us with your enquiries or request a quote. Swinard Wooden Floors is committed to providing a safe workplace for everyone involved. Our staff undergo regular health and safety training and the company has been awarded the green status through Site Wise. This is the highest level. All our staff are first aid trained through St John. They are also aware of, and abide by, all health and safety regulations. It is in everyone’s best interests that our designated work area be kept clear. Please ensure that only employees from Swinard Wooden Floors touch, move and/or operate the equipment and materials we bring to site. Where we are the main contractor – not a subcontractor of a builder – you and any visitors will be inducted on to the site and asked to comply with all health and safety requirements relevant to the site. Please follow our staff’s instructions. Should you or any members of your family or workforce notice any potential hazards, please ensure that these are brought to our attention. A Health and Safety compliance fee is included in your quote and a SSSP – Site Specific Safety Plan – will be drawn up for your job site. We are proud to support Cholmondeley Children’s Centre, which provides short-term emergency and planned respite care to children and families under significant stress or crisis, or when the supports that many of us have are not available or adequate. The Lombardy Charitable Trust host Sculpture on the Peninsula, an event started by Geoff Swinard, who loved sculpture and wanted to support the children in care at Cholmondeley. The first event, in 2000, was held in the grounds of his Governors Bay home, Lombardy. Following Geoff’s death later that year the Lombardy Charitable Trust was established to continue the event. 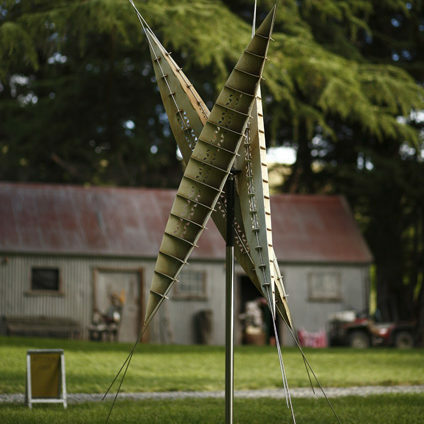 Sculpture on the Peninsula has been held every two years since and is now a feature of New Zealand’s outdoor exhibitions calendar, and a showcase for established and emerging sculptors. The event has raised over $760,000 to date. The Lombardy Charitable Trust’s contributions to the centre help to create positive outcomes for children and their families.